Custom Designed Luxury Pools, Patios, Outdoor Kitchens & Living. Know that as your pool builder, at Lake Norman Signature Pools & Patios, we are always happy to provide further information about our pool building and backyard design services. When you reach out to us, one of our skilled pool professionals will be in touch promptly, and they will give you all the information you need to make a confident decision about your pool-building needs. Contact us today and get ready to build the pool of your dreams! If you live in the Mooresville, North Carolina area, make your swimming pool dream a reality by calling us at Lake Norman Signature Pools & Patios. 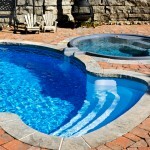 Let us help you come up with a perfect pool design for your backyard. Contact us today to request a free estimate! Mooresville, Cornelius, Davidson. Huntersville, Lake Norman, Troutman, Sherrills Ford, Terrell, Denver, Catawba, Mount Ulla & Stony Point, NC!